Exscape Designs, known for their high standards and a dedicated commitment to their customers, is pleased to announce that they have received their fifth ‘Best of Houzz’ Service Award for Client Satisfaction. 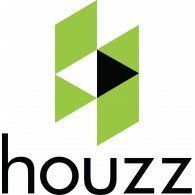 Houzz.com, a leading consumer website that offers design inspiration and access to the most creative and customer friendly firms, takes time each year to offer their best recommendations for the highest level of construction, landscaping and interior design solutions to users. The result is a list of the “Best of Houzz,” a distinction that Exscape Designs is delighted to have. Voting for the Houzz.com awards is done by millions of Houzz members who are charged with recognizing the best in design and execution. With an international presence, competition in the Best of Houzz category is significant. The awards are given for both Client Satisfaction and Design. For more information on the “Best of Houzz” award won by Exscape Designs or to schedule an interview with Bill Dysert, contact the company at 440.729.0011 or via email at info@exscapedesigns.com.